Back in March ’15, my amazing husband gave me a present, a really big present. It was a trip to Singapore (one week, including travel time) to spend time with one of my most adored friends and attend her 40th birthday bash. It was a total surprise. He said I totally deserved it, and I had to agree with him. He watched the children with help from my parents. I hadn’t been back to Asia since 2012, and that is entirely too long for me. I lived in Beijing for 7 years (I left in 2007). I grew accustomed to eating Chinese food every single day, and it was truly food heaven for me. Besides Chinese food, I remembered being spoiled for choice when it came to eating authentic and inexpensive foods from all over the world (I’m sure it’s much more expensive today). 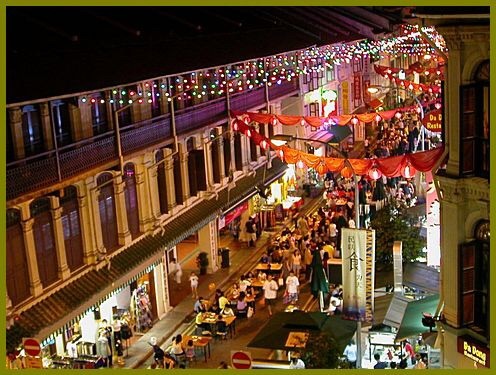 One of my regular spots (I would try to go once a week) was a Singaporean restaurant called Lau Pa Sat, across from the Canadian Embassy. I usually would order their Nonya style Mee Siam. It still makes my mouth water every time I think about it! Where oh where can I have this dish in Orange County, California? Anyway, Besides being crazy excited for seeing my friend again, I was very excited to be in a huge Asian metropolis with so many great food options. It took me two days to get to Singapore from LA. I flew via Tokyo. 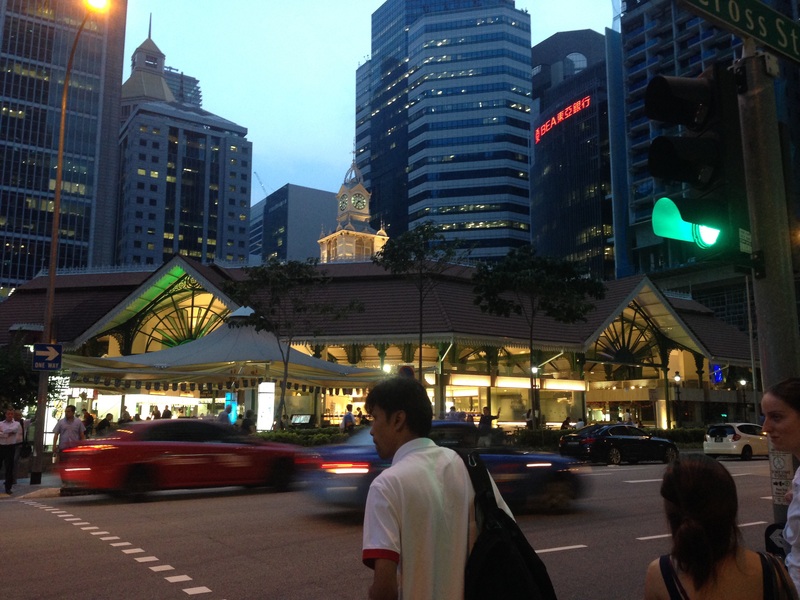 By the time I got to Singapore, I was a walking Zombie. I had five full days in there. When I left Singapore, I returned to LA the same day I departed. It was a long trip, but I only had myself to take care of and no children. I can’t sleep on flights, but I relished the uninterrupted reading time and alone time I don’t get with a three and five-year old at home. I arrived past midnight and was picked up by my friends. As soon as I reached their apartment, I collapsed on my bed and slept like a baby. I woke up in the morning to the sound of tropical birds and was reminded of where I was…right on the equator! It was good to be in Singapore. 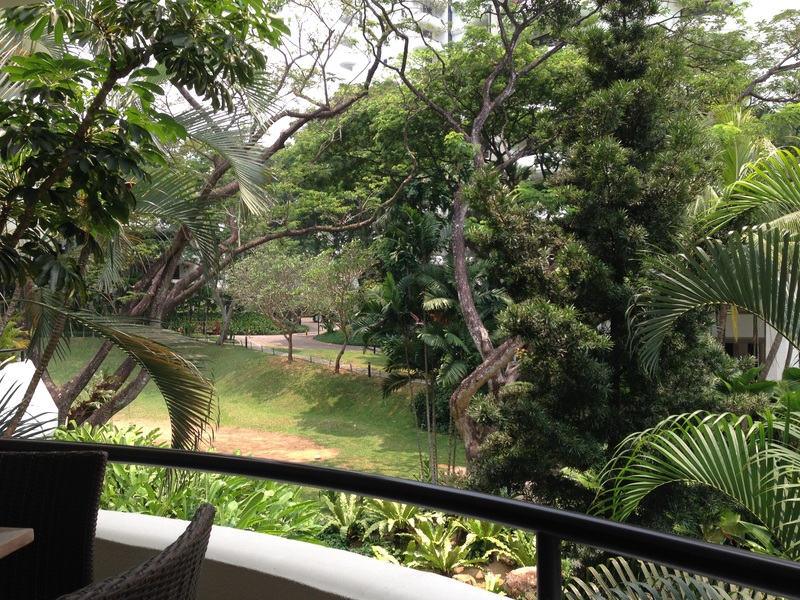 Many expats have very cushy lifestyles in Singapore. The majority have live-in “helpers” to assist with housekeeping and child care (more on this below). It’s also a very short distance from unbelievable beaches in Malaysia, Thailand, and Indonesia that you can literally visit for the weekend. The standard of living is very high, more than any other Asian city. However, it is also one of the most expensive, if not the most expensive place to live. Rents and schools are prohibitively steep. Goods are also unbelievably costly. I visited a supermarket and found a half-gallon carton of organic milk cost $10 US! Everything is at least double the price of what I pay in the U.S. for the identical product. However, the GDP per capita is the third highest in the world, after Qatar and Luxembourg. There is one thing that is incredibly affordable, a live-in helper, or maid. They tend to be from the Philippines or Indonesia and work 6 days a week, although, some don’t even get that. By law, they only have to have one day off per month! 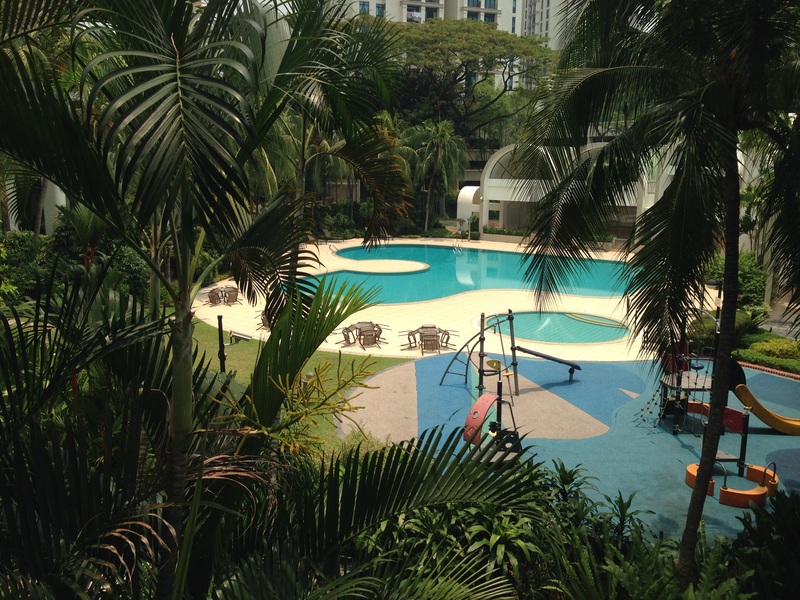 My friend lives in a very luxurious apartment complex overlooking a children’s play area and a large swimming pool. In the afternoons, I would see droves of children out there accompanied by helpers and hardly any parents. One place I didn’t see the helpers was in the pool. My friend explained that they aren’t actually permitted in the pool! Apparently, this is the standard rule for any apartment complex. My friend also told me about her neighbor making her helper wash her car every single day. That’s hard work when you are outside in hot and humid Singapore. Now how dirty can a car get in one day? Well, I didn’t go to Singapore to see the sights or do the touristy thing. I’ve been to Singapore before. I was there to see my friend. She was turning 40, and she came up with the most brilliant plan to celebrate the milestone. She booked the top floor of the Blue Jazz Cafe, along with a DJ. She also arranged free-flowing booze all night. However, you wouldn’t be allowed entrance if you weren’t dressed as a superhero or villain! I really had fun choosing the perfect costume. It brought out the inner kid in me. I found a Sheena costume on Amazon and went for it. When I tried it on, I could tell it was meant for women with augmented breasts. It needed major alterations. In the end, I made it work. Well, back to the party. 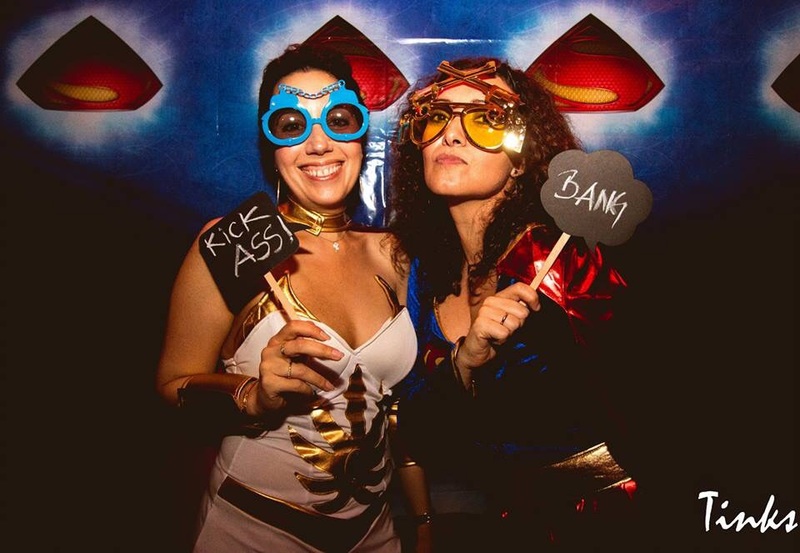 Dressing up as a superhero is an enormous ice-breaker. The costumes were absolutely brilliant. 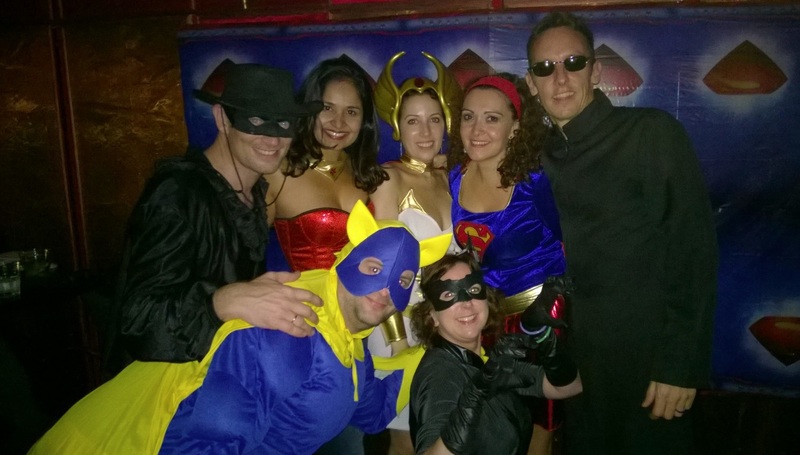 As each super-hero/villain walked in, guests would howl with laugher. It seemed to really make people lose their inhibitions hiding behind a costume. They were dancing and drinking until the DJ stopped playing the music and the lights went on. The next evening, we ran into many of the guests at the party. I didn’t recognize them without their Kruella wigs and Thor Viking gear. Needless to say, they were much more subdued. My friend loves good food as much as I do and took me to some excellent restaurants. My favorite was Catalunya, where we went one Sunday for a brunch buffet (not your normal buffet) with unlimited Cava. This place is definitely a special occasion restaurant. A team, trained at El Bulli and Santi in Spain, opened this place. I ate so well and so much, I was so content. Besides what was offered in the buffet, which was truly outstanding, they had a few unique El Bulliesque dishes like deconstructed tortillas and olives come to the table. The tortilla came in a martini glass! I wish I had taken a picture of it. One night, we went to a Northern Chinese restaurant on Smith Street. Smith Street is a small pedestrianized street that runs through the heart of Chinatown. The area is buzzing and has row after row of different kinds of restaurants with indoor/outdoor seating. You can find people eating and drinking really late into the night. 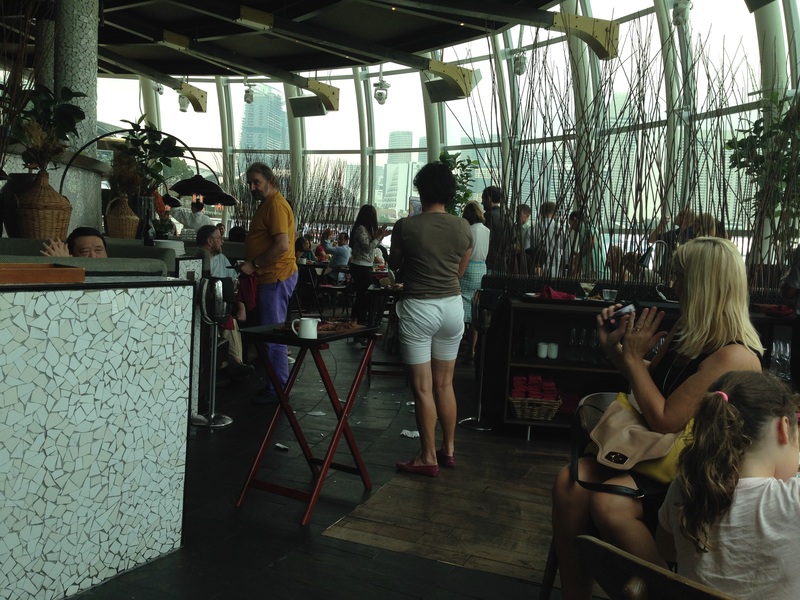 It’s a great place to soak up the lively eating culture in Singapore. Another memorable restaurant was Hashi Japanese Restaurant. This place is upscale and very authentic. It made me feel as if I were on a mini vacation to Japan. Even the waiters and waitresses are Japanese. The service was impeccable, and the food is something really special. What can I say, my friend absolutely spoiled me on this trip. Another little recommendation, only if you happen to be in the area of the Takashimaya Department Store, is the basement food court. You’ll find amazing fine Japanese chocolates, delectable freshly made chocolate mini-croissants, and other yummy gourmet treats. There are also small restaurants that serve ramen, udon, etc., if you are in the mood for something savory. Of course no trip to Singapore is complete without visiting one of the hawker markets. 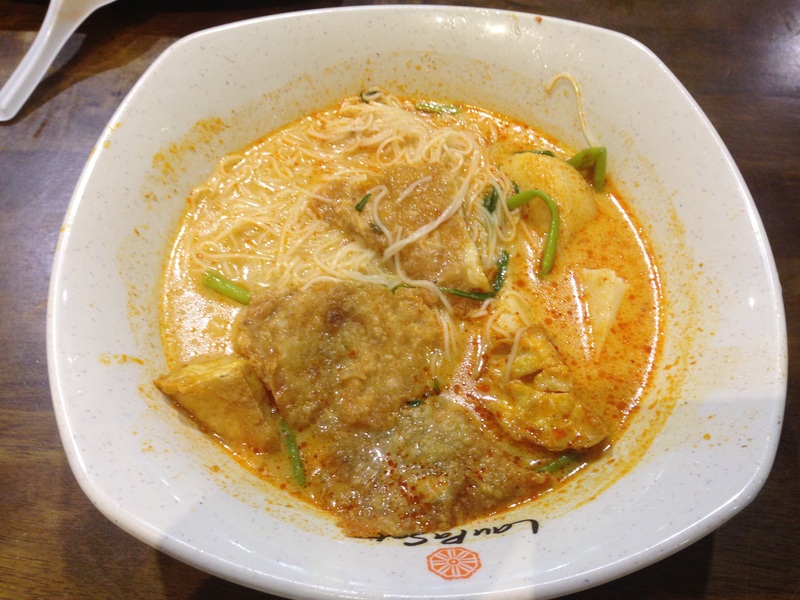 We went to good old Lau Pa Sat, where I had a very mediocre Laksa. Of course there are many stalls to choose from. I just randomly picked one. Even if I wasn’t crazy about my Laksa, I still enjoyed the atmosphere. It’s good to try a bit of everything at these hawker markets, so go there hungry! Another night, A group of us met for dinner at Chop Suey (on Martin Road). We all shared a bunch of Chinese fusion style small plates. I enjoyed the food on the whole. The ambiance was perfect for fun get togethers with friends. For lunch one day, my friend and I went to the P.S. Cafe (run by the same people as Chop Suey). We were surrounded by ladies who lunch. I could see why. The place has a very relaxing vibe and is surrounded by lush greenery. The food was mainly Western and offered salads, sandwiches, pastas and pizzas. The day before I left Singapore, I woke up to the news that the nation’s beloved father, Lee Kwan Yew, passed away at the age of 91. He is credited with building up the country and transforming it from the third world to one the richest countries in the world. I watched his son, Lee Hsien Loong, the current Prime Minister, give a tearful and touching speech in Mandarin, Malay, and English. I imagined that everything would shut down that day. Surprisingly, everything went on as normal except for the subdued and melancholy music being played on all the radio stations. I also imagined that I would see people walking around looking grief-stricken and lost, but not so either. Anyway, a few days after I left, thousands lined up to pay their respects at his state funeral, even in the pouring rain.